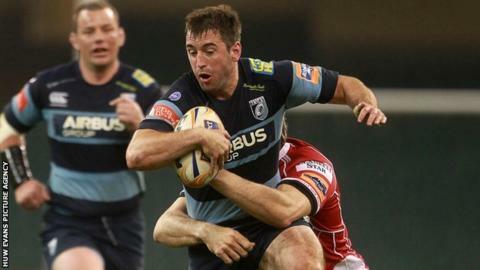 Cardiff Blues centre Dafydd Hewitt has signed a new two-year contract with the region. Hewitt has played 116 games for Blues in all competitions and scored 13 tries after making his regional debut in 2006. The 28-year-old previously captained the Wales Under-21 side and was part of the Wales squad which won the Rugby World Cup Sevens in 2009. "It was the right decision for me and I can see the potential here," he said. "It's my club, I'm from here and I want to help the Blues really achieve something special. "I'm looking forward to the next few years and working with the quality of players we have here. "The likes of Cory Allen and Owen Williams in the centre, Sam Hobbs in the front row, Lewis Jones at scrum half, I could go on and on."